Agrestic Preserves a whole host of regional products & fresh produce adorn the shelves. Everything from unwaxed apples to beer soap to free range eggs & local wines are at your fingertips. Housed in a semi industrial, semi agricultural straw-bale/brick building & wearing its locavore ideology proudly on its sleeve, The Agrestic Grocer provides a unique shopping & dining experience. 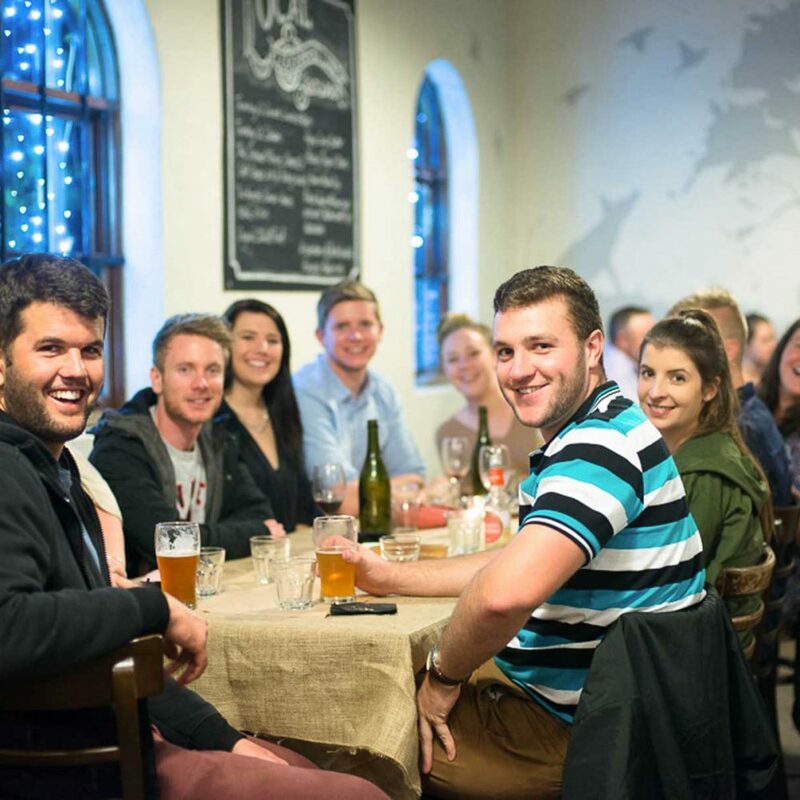 Onsite businesses, Badlands Brewery & The Second Mouse Cheese Co utilise Agrestic as their cellar door & main retail outlets. You can find both producer’s goods all throughout the menu, with dedicated tasting experiences available. The Second Mouse Cheese Board with house made accompaniments is a popular choice with lunch. Badland’s exceptional craft beers take pride of place at the bar with 6 choices on tap. All cheeses & beers are available to take home & come in an assortment of styles & quantities. Weekends come to life with live music in the Agrestic courtyard with artists from near and far. The standards are always high & is demands for tables, so it’s a must to book a table. 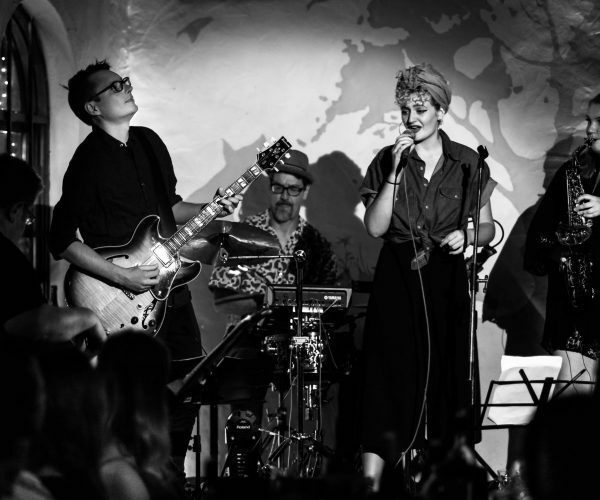 Live music weaves it’s way around the week starting with the iconic Ruby Tuesday Classic Album Night. Here local & touring artists perform the entirety of a classic album with the café transformed into a buzzing bar & restaurant. Touring original artists visit frequently for weekend evening shows, including the legendary Reg Mombassa, Jeff Lang, Lloyd Spiegel, Steve Balbi & Dave Graney. 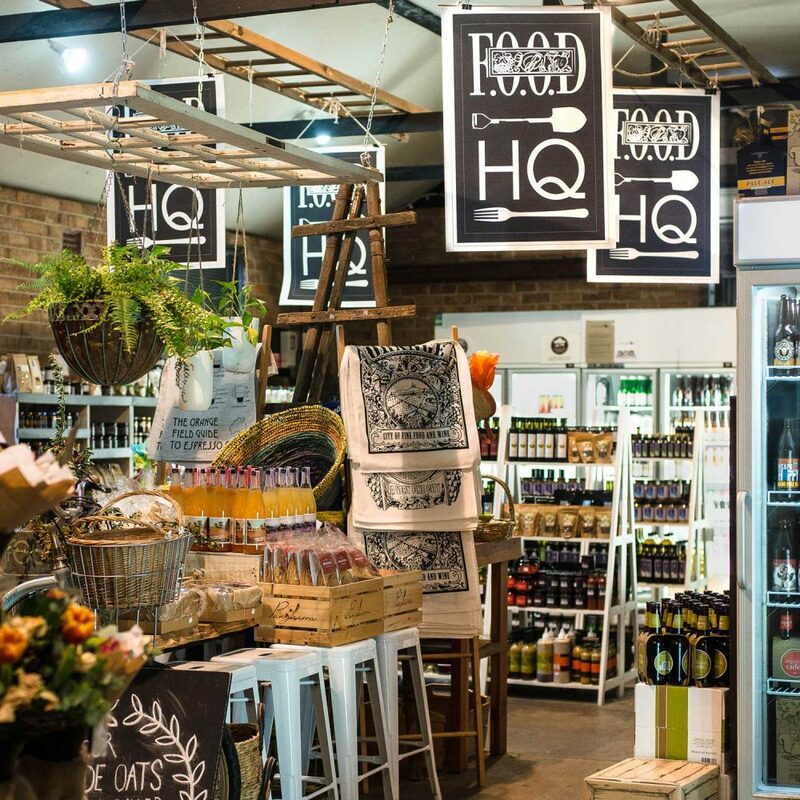 Whether it’s to come and try the ‘Tour de Oats’ Push Bike Rolled Oats, pick up some yellow carrots, have a custom hamper made or just hang out in a unique location with the company of passionate host, The Agrestic Grocer has it covered. Be it a corporate lunch, an informal get together, or an elaborate private party with friends, you’d be hard pressed to find a better spot than The Agrestic Grocer to host your function. 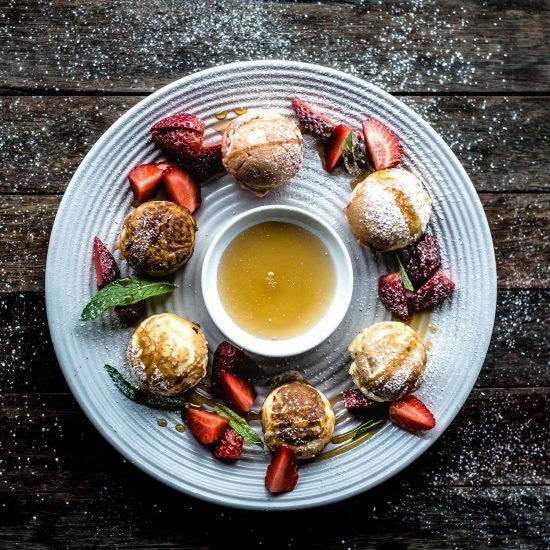 We cater for high profile events such as the 500 seat Orange Elephant Ball, 400 diner Orange Wine Show Tasting, 1500 participant Orange Food Week Forage & various weddings, public & private events. Weekends come to life with live music in the Agrestic courtyard with artists from near and far. The standards are always high & is demands for tables, so it’s a must to book a table. The local food movement is all about partnerships & Agrestic has joined forces with some of the absolute best producers in the region. 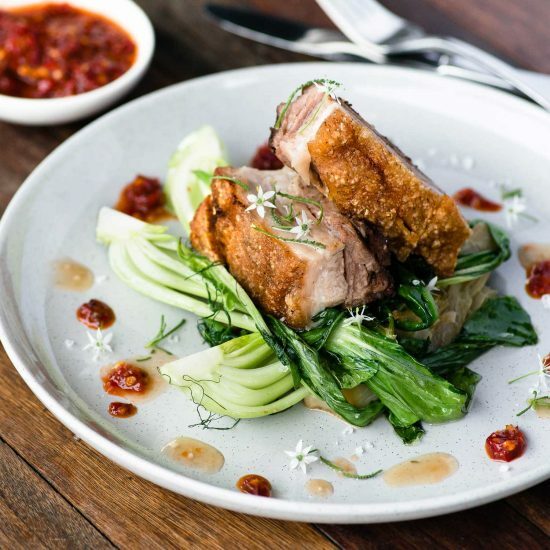 Free range, pasture raised pork from Fresh Pastures near Stuart Town takes pride of place as the featured, “Pig of The Day” menu choice. This isn’t just a conventional supplier relationship though. Spent grain from Badlands, excess whey from Second Mouse & the limited fruit & veg waste from Agrestic are all donated to Fresh Pastures to supplement feed the heritage breed pigs. This then comes full circle back to the hands of the Agrestic chefs who break down the whole animals for the myriad of dishes served in the café. What could be more perfect? Waste management, sustainability, localism & nose to tail – all on one plate, all at Agrestic. 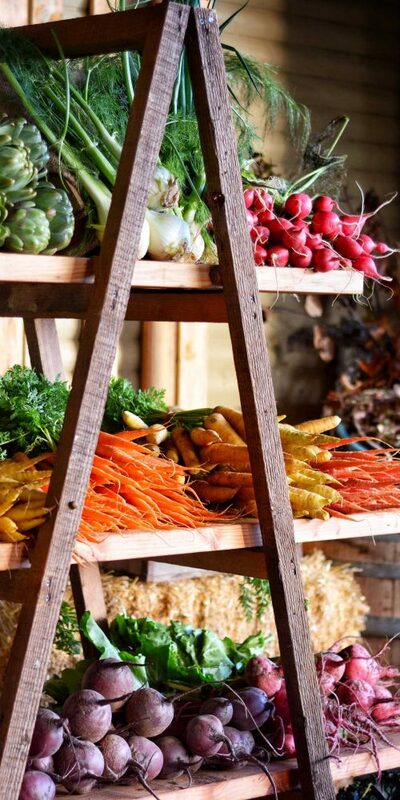 With such an abundant region to draw upon, local produce is everywhere you look. Locally roasted coffee by Orange Roasting Co. is paired with the iconic Little Big Dairy Milk. Little Big are one of the very few single origin, direct from farm dairies in the country so you know your ¾ double ristretto latte will not only taste better but will also be putting more back in to the pockets of the farmers – right where it belongs. Once you’ve fuelled up, its time to hit the store. Badlands Beers, Second Mouse Cheeses, Agrestic Preserves & a whole host of regional products & fresh produce adorn the shelves. Everything from unwaxed apples to beer soap to free range eggs & local wines are at your fingertips. The list of local goodies is almost endless. Fourjay Farms hazelnuts, Spencer & Origin Chocolates, Small Acres Cyder, stacks of olive oils, cult status salad dressing from Di Ridge, fresh garlic & freshly milled peanut butter. We could go on! Stone Pine Gin – enough said. Milla Cordial…. Agrestic has also put its hand to producing some of their goodies themselves. Two bee hives, one a modern langstroth hive & the other an older yet more progressive Warre, house 10s of thousands of happy & productive bees. The precious honeycomb is harvested and served as part of Agrestic’s unique take on a Ploughman’s Lunch. We offer tastings through the restaurant & bar. From the grilled haloumi for breakfast to the quark based desserts to the washed rind & blue on the Second Mouse cheese board, these exceptional cheeses feature heavily in the Agrestic menu. 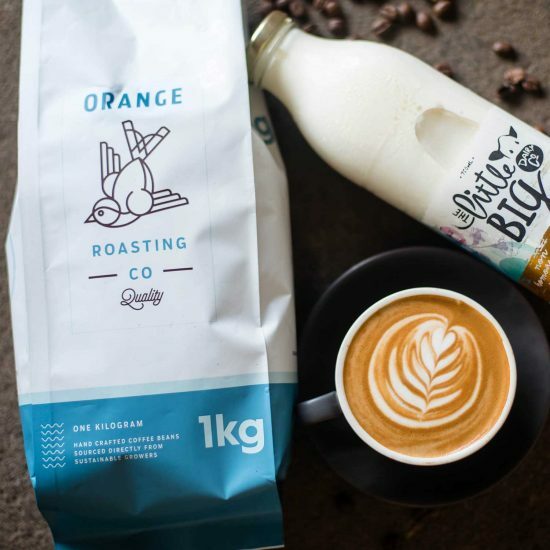 Locally roasted coffee by Orange Roasting Co. is paired with the iconic Little Big Dairy Milk. The Agrestic Grocer is proud to share the same facility as two of Orange’s most well-respected artisan producers, The Second Mouse Cheese Co. & Badlands Brewery. 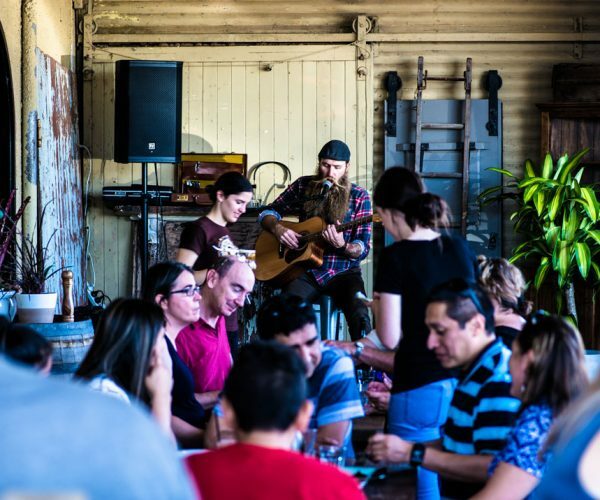 In their role as cellar door for Second Mouse & Badlands, Agrestic retails the complete range from both producers & provides tastings through the restaurant & bar. 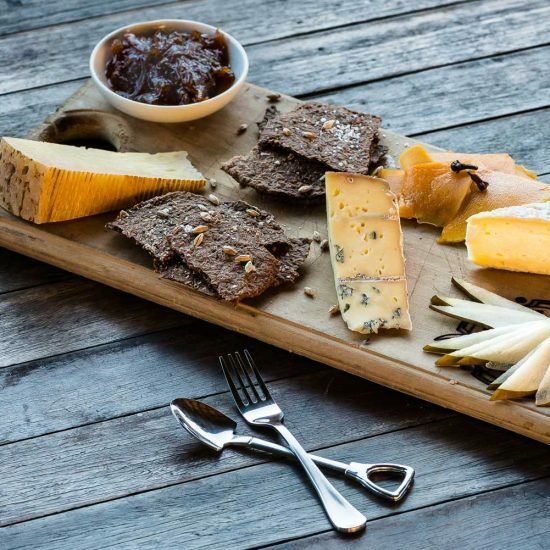 From the grilled haloumi for breakfast to the quark based desserts to the washed rind & blue on the Second Mouse cheese board, these exceptional cheeses feature heavily in the Agrestic menu. Badland’s takes its fair share of the lime light. The Agrestic Bacon & Egg Sandwich has earned its reputation for being unique & delectable with its lashings of Agrestic made Badlands Beer Jam. Yep, beer jam. Delicious. You’ll even find spent brewery grain on the menu in the form of brewery grain crackers. A perfect symbiosis of partnership & flavour for the unique cheese platter. Further to this culinary co-operation, the three ventures have joined forces in the fight against food waste. Agrestic’s minimal fruit & veg waste, Badland’s spent brewery grain & excess whey from Second Mouse are all donated to Fresh Pastures, a local pasture raised, free range pork producer. The beautifully nourished, happy heritage pigs are then supplied to the Agrestic kitchen where the chefs work through the beasts from nose to tail. ‘Pig of The Day’ serves not only to provide mouth watering & ethical produce, but also to help manage sustainability throughout production. What is it about IT that makes its professionals run for the hills? One could speculate… Regardless, once living in the hills it’s advisable & desirable to take up something productive. Jon Shiner certainly did. 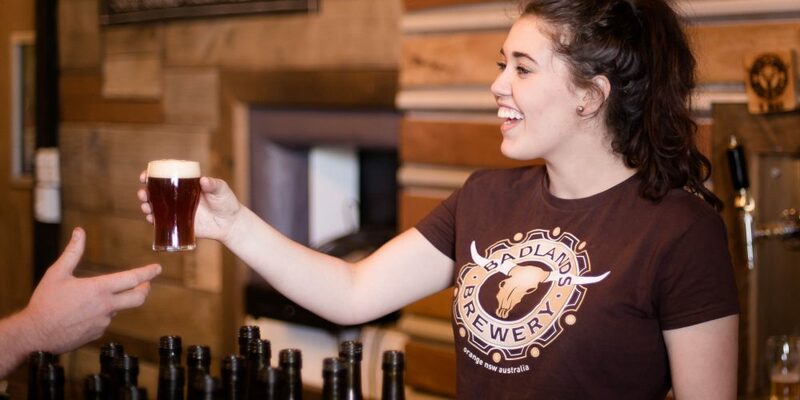 Badlands Brewery opened its doors in Orange in 2010 producing a Pale Ale & IPA aimed squarely at reproducing the flavors of regional brewers in the UK. Traditional brewing techniques along with careful procurement of the best ingredients have resulted in the development of one of regional NSW’s most respected craft beer producers. Not one to follow the crowd, many of Jon’s range draws upon the rich history of brewing culture in the eastern hemisphere. The occasional US inspired brew or left of field festival beer pokes it’s head through for contrast but the core stands strong with an emphasis on balance, craftsmanship & tradition. Jon has even found a way to draw upon the strong local food culture of his adopted home. Each year a special seasonal ‘Baltic Porter’ dubbed ‘The Gloaming’ is brewed true to style – to a point. A touch on new world style informs an infusion of a select local ingredient. It could be Morello cherries, figs or even black truffles. Truly local flavours, inspired combinations & adroit execution. With 9 beers in the range, you’ll be hard pressed to feel left out. Badlands tasting paddles at Agrestic come with 3 or 6 beers. You can order your favorite as a full or half pint. Licensed service kicks off at 10:00am 7 days a week. All the range is available in the shop in various qtys. Haven’t decided on what you want? The mixed 6 is a great choice & an even better gift. Cheesemaker Kai Woltmann arrived in Australia after living in Paris & working in the IT industry. Having grown up in Germany, being surrounded by superbly made traditional cheeses, & then enjoying the Parisian penchant for hand crafted cheese, Kai was ready to take his passion to the next level. Whilst living in Sydney he started his cheese makers journey by undergoing education in Adelaide & New Zealand. Whilst still living the jet setting IT Project Management lifestyle, Kai started to experiment with cheese making in his home kitchen on weekends and began to develop a clear vision & style for the future. 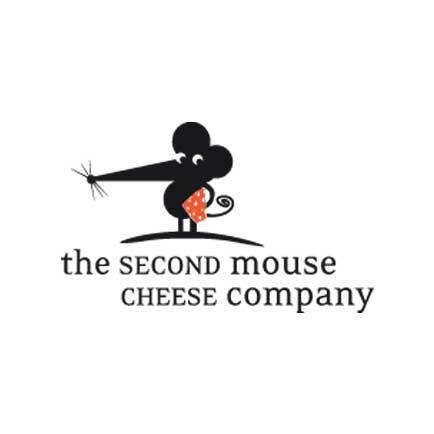 The Second Mouse Cheese Co. opened its doors in 2013. Since then Kai & his wife & partner Annie have grown their range to include 9 cheeses, with many more ageing & yet to be revealed. While Second Mouse draws upon strong European traditions, they also have clear sense of the benefits of sourcing local ingredients. Milk is sourced directly from the Little Big Dairy in Dubbo, 1½ hours west of Orange. Little Big have been recognised as leaders in the direct from farmer business model & even supply Agrestic with dairy products for the café & store alike. A Second Mouse cheese tasting includes a small sample of 7 cheeses & is available 7 days a week from 8:30am. For after your meal or with a glass of wine the Second Mouse Cheese Platter is a more filling choice. There’s a good chance you’ll get to meet Kai as he goes about the business of producing one of Orange’s finest products. Ask him about Frieda, he’ll love to tell you the story. The Agrestic Grocer’s famous Ruby Tuesday has transformed the Central West’s live music scene. Each week artists perform entire albums from & tributes to their favorite artists to sold-out audiences. Shows are in such high demand they can run for up to five weeks at a time & include artists as diverse as Amy Winehouse, Elton John, Radiohead, Ray Charles, Leonard Cohen & David Bowie. With over 100 shows under our belt, there’s proof that live music is well and truly thriving in Orange NSW! Weekends come to life with live music in the Agrestic courtyard with artists from near and far. The standards are always high and so is the demand for tables, so book a table to avoid disappointment. 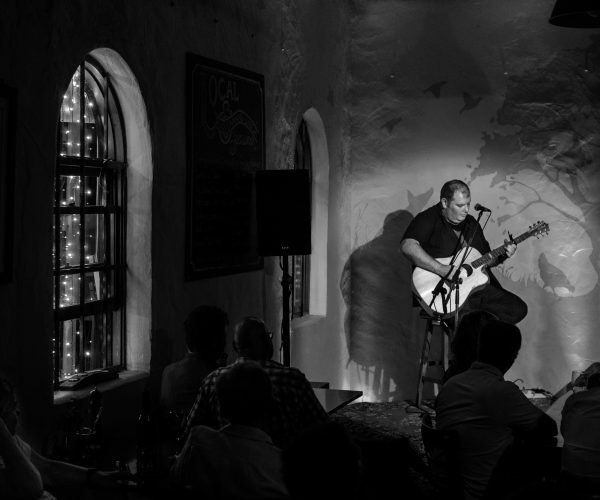 Every Saturday & Sunday sees high standard performers fill the courtyard with a degustation of original & classic tunes. Artists are sourced both locally & as they come through on tours & creative pilgrimages. Keep an eye on our social media or join our mailing list to keep in the loop! Do you have any questions regarding our services? we’d love to hear from you. Call us for a chat or get in touch via our contact form.